The numbers weren't eye-popping. 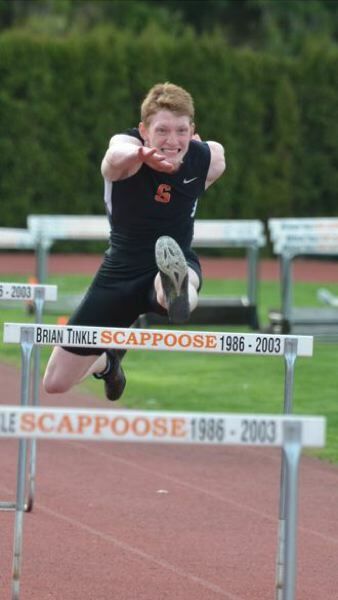 But given the date (April 3), the lineup (lots of young competitors) and the circumstances (several top athletes trying new or unfamiliar events), the Scappoose Indians had to consider their first home and first league meet of the season a success. "A lot of really good performances — and a lot of kids going above and beyond when it came to doing multiple events," coach Dennis Olstedt said after Wednesday's dual with Milwaukie. The Indian boys outscored the Mustangs 87-56, and the Scappoose girls outpointed Milwaukie 76-56. The team scores weren't major deals to Olstedt and his crew, because their season has only just begun and the Indians were taking just a second baby step in a reloading year that also is their first season of Class 5A battles. Next week comes an even bigger home meet and more challenging opposition — the Indians will be at home on Wednesday against St. Helens and Wilsonville. "The next one goes up quite a bit (in competition)," Olstedt said. "St. Helens has really good athletes, and Wilsonville's the big dog in our new league." But once again, the team scores won't be the focal point, he said. "For me, it's not a matter of who wins, it's how our kids are doing, and as long as our kids are PR'ing, I could care less what the score is." 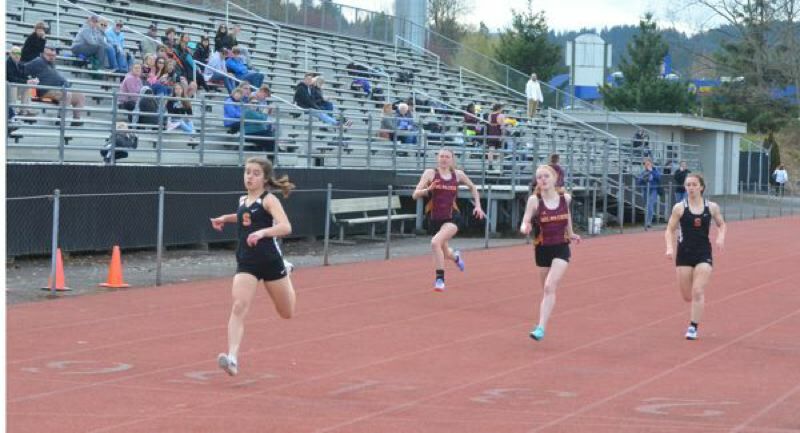 The Indians had lots of PRs (more than 40) against Milwaukie — although a high percentage of them came from freshmen or new team members or from athletes competing in relatively new events for them. One of the highlight PRs on familiar turf, though, came from junior Brisyn Maller in the 110-meter hurdles. He won a two-man race with Milwaukie junior and decathlete Arthur Katahdin, clocking 15.42 seconds. Last May 14, Maller ran 15.48 to finish second in the Class 4A final at the state championships. About 2 1/2 weeks ago, he'd opened his 2019 season with a 15.97 at the Cotton Invitational at Grant High. Katahdin, a national Junior Olympic decathlon champion in 2018 and the winner of a 10-eventer at Summit High last week, finished in 16.00 on Wednesday. Maller said "it felt like a PR. Today just felt better (than at the Cotton). I felt more prepared." Maller came back to win the 300 hurdles and triple jump as well, entering the latter event for the first time in his career. 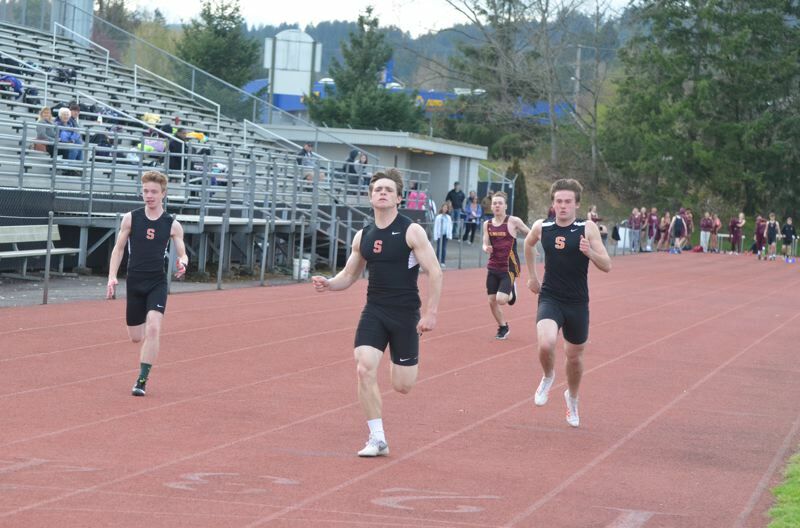 Other firsts for the Scappoose boys came from senior Connor McNabb in the 100 (11.56, not far off his PR of 11.42), and from four juniors — Josh Lull (800), Gustavo Villalvazo (1,500), Conner Havlik (javelin) and Tyler Holcomb (long jump). Another junior, Henry Goldammer, led off a revamped 4x100 relay team that included Lull, McNabb and Holcomb and won in 44.64. Scappoose won the 4A title in the short relay last season but graduated team members Ben Cox and Tevin Jeannis. "We aren't as fast as the group last year, but we're pretty close for the beginning of the season," Lull said. "We've just got to dial in and get ready for state at the end of the year." "We've just got to figure out our handoffs and we'll be good," Goldammer said. "We just came back from spring break. It doesn't get worse, it just gets better." 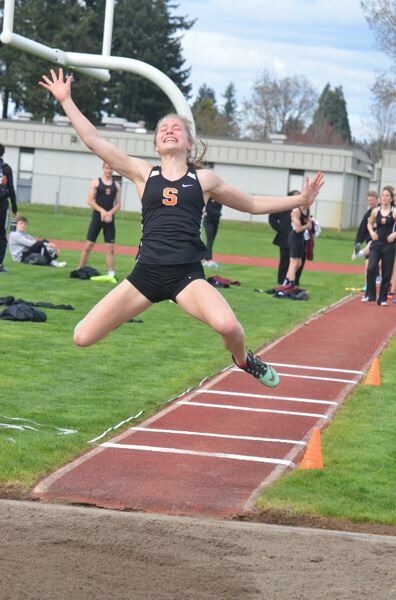 The Scappoose girls' entry list was just as shuffled, with junior Tess Conway winning in her first 100 (and coming back to take the 800) and with junior Emma Jones all over the place (first in the 400, 300 hurdles and long jump and second in the 100 hurdles). "The weather turned out way better than expected, and I was really excited about that," she said. "And it was a really good first 100 meters. I'm just trying to get some new experiences and see where I fit in this year." The highlight for Jones probably came in the long jump, where she hit 16 feet, 1 3/4 inches. "My PR is 16-9 (good for fourth in the 2018 state meet), but last year I really didn't get into the 16s until district and state, so it was good to see it happen earlier in the season this time," she said. Continuing the theme of new faces and even older faces in new places, senior Anne Morud swept the girls distance events in her first track meet of the season (and her first-ever 3,000). "I felt like I was where I was supposed to be," she said. "I put more training into the winter season, so I felt like I had more kick than last year. And last year I went out way too fast. This year, I have more experience, so I'm a little wiser about maintaining a pace and not letting my mind get tricked by people around me."